What changes will AI bring to your sales team? Do we really need this technology to navigate today?s market? Artificial Intelligence (AI) typifies the love-hate relationship that many people have with technology. They love the ease of using voice-controlled assistants like Siri and Alexa, but they don?t fully trust whatever is making it work. They have no problem with using chatbots and self-checkout lanes, but they baulk at the idea of ?robots? taking human jobs. And while they marvel at the applications of advanced technology in the medical field, they are afraid that this same super-intelligent machinery is somehow stealing their livelihood. One of the areas where AI is making a huge impact is in commerce. We are all familiar with the recommendation engines powering Netflix, Amazon, and other major players, but relatively few people understand that this is AI at work. AI is also increasingly being used as a sales tool and this has salespeople nervous. But really, there?s no reason to believe that AI is going to steal all sales jobs. What it can do is make them a little bit easier. Is There a Need for AI-Enabled Sales? In an interview discussingÂ AI-enhanced sales with Forbes, Gong co-founder and CEO Amit Bendov shared the following statistics: ?The average B2B sales conversation runs 6,000 words per hour, sales people hold around 20-30 conversations per week, and managers are often responsible for 6-12 reps?impossible math if you?re trying to gain a deep understanding of all those calls.? Impossible math from a human standpoint, but not for AI. By analyzing these conversations (which are recorded with the customer?s and the rep?s knowledge and consent), an AI system can quickly pinpoint the subject of the conversation. Further, it can combine many such conversations, analyze their outcomes, and recommend ways to improve sales efficiency thus freeing more time for sales managers to personally train and supervise their staff. For sales reps, AI can take over the mundane activities of data entry, scheduling, and content curation. They can help them prioritize which calls to make and who to contact. Again, a lot of time is saved. Given the amount of work reps and managers have to do, I?d say that yes, there is a need for AI-enhanced sales. But I don?t think sales reps will ever be totally replaced by sales bots. When it comes to human interactions, AI works best when paired with humans. Why? Because AI will never be human. Relationship Building:Â People do business with people they trust. Building that trust and nourishing that rapport will be the domain of the sales rep. AI might be able to tell a rep what product to offer and why, but it?s up to the human being to deliver the message in the most appealing way. Getting a machine-based recommendation is like getting an automated birthday email; it doesn?t mean much. But getting an e-card from a friend means a lot more. Reading People:Â AI might be able to record conversations and understand words, but processing subtext, sarcasm, facial expressions, and other nonverbal signals is up to the rep. These impressions are immensely telling, and are (so far) the exclusive purview of the human brain. Technical Aptitude:Â Reps don?t have to be data scientists, but the ability to use and understand technology will become increasingly important. Willingness to Learn:Â Similarly, we can expect technology to keep evolving. A skill set that was up to date this year might be completely outmoded in five or ten years. Eagerness to adopt new ideas is a definite plus. Creativity:Â Many AI experts see analysis as the forte of the machine brain and imagination as the stronghold of the human brain. Creativity will be especially important for those in leadership positions, as they look for ways to inspire their team members. In short, I see the future as a human-machine partnership. Those salespeople who are willing to embrace this model will thrive; ones who don?t may find themselves struggling in a world that?s moving faster than they are. 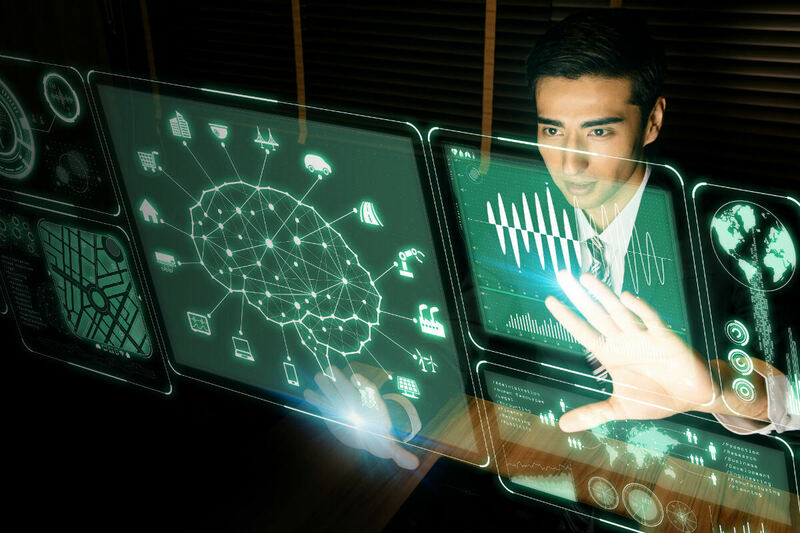 To learn more about the future of AI-enabled sales, check out the free webinarsÂ How AI Can Give Your Sales Team an Unfair AdvantageÂ andÂ The Four Pillars of AI-Based Predictive Selling.